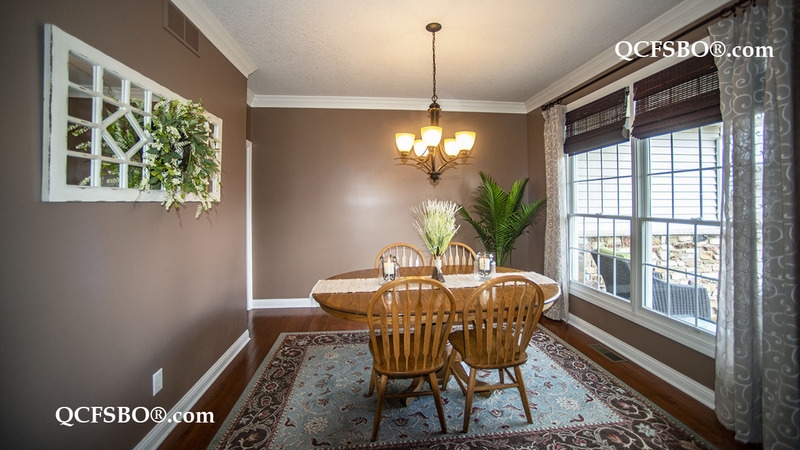 B eautiful one owner, well maintained home in popular Highland’s East Subdivision. 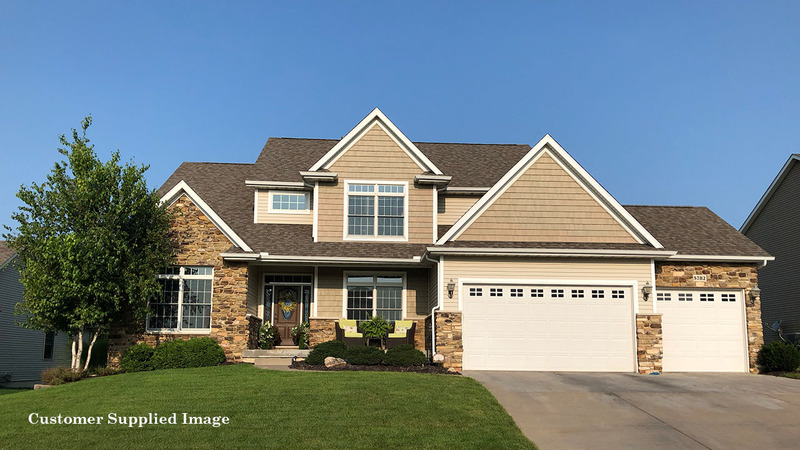 Enter this 5 bedroom/5 bath home through the dramatic two story foyer with hardwood flooring and an abundance of natural light. 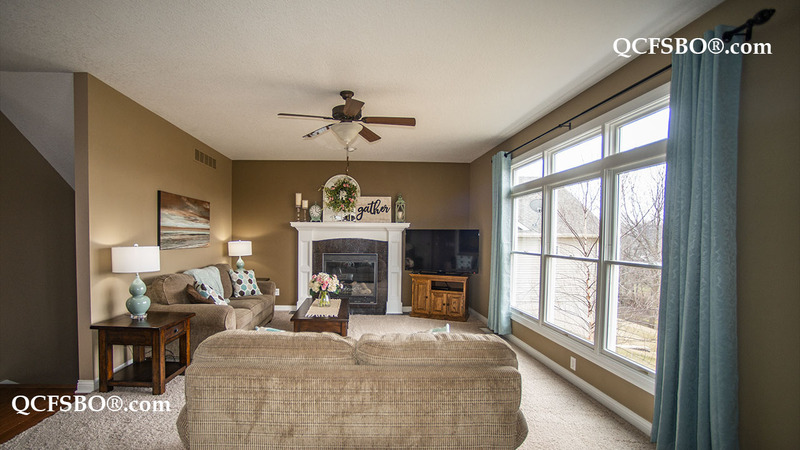 Just past the foyer is the great room that features a gas fireplace and huge windows with transoms that overlook the beautiful park like backyard. The adjoining kitchen boasts an eat in dining area, granite counter tops, an abundance of cherry cabinets with pull out shelves, tiled back splash, under cabinet lighting, stainless steel appliances, and built in buffet and wine rack. The eat in kitchen area leads to the newly stained wood deck that is perfect for cook outs or a morning cup of coffee. The main floor also includes an office space with french doors, formal dining room with hardwood flooring, laundry room with large utility sink and cabinetry for storage. There is a built in locker system with bench and coat closet that leads to the heated and insulated three car garage. 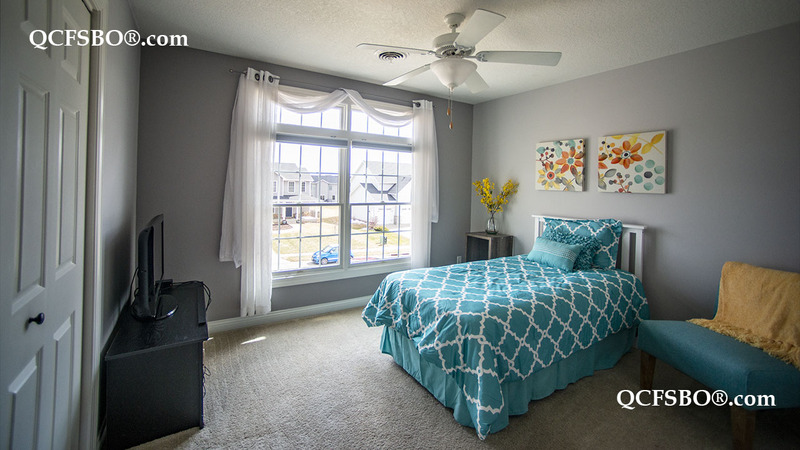 Upstairs you will find four spacious bedrooms and loads of closet space. Two of the bedrooms share a Jack and Jill bathroom that has double sinks and a tub/shower combo, the third bedroom offers a private bathroom that includes a stand up shower. 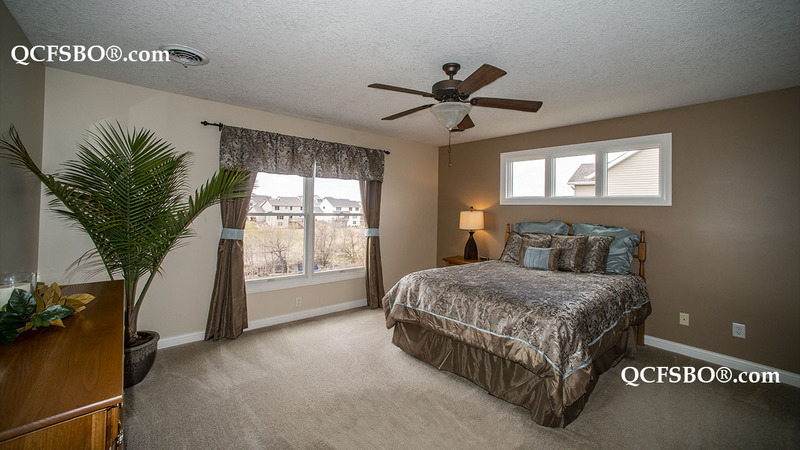 The large master suite has plenty of windows and natural light. 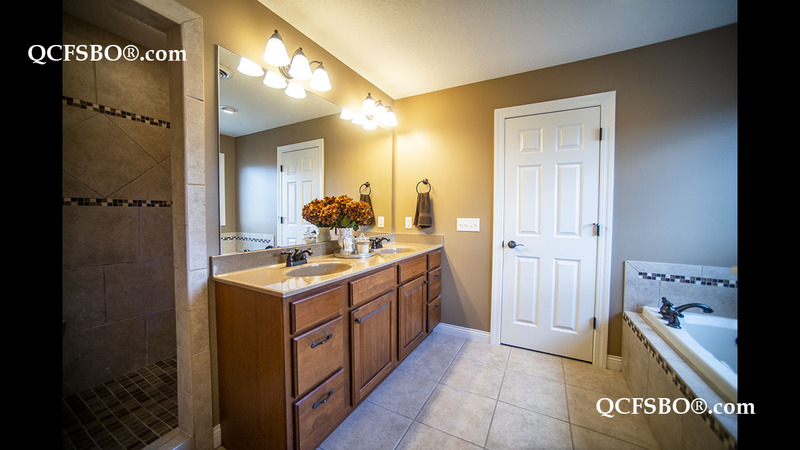 The en suite bathroom features a whirlpool tub, tiled shower, double sinks, and large attached walk in closet. 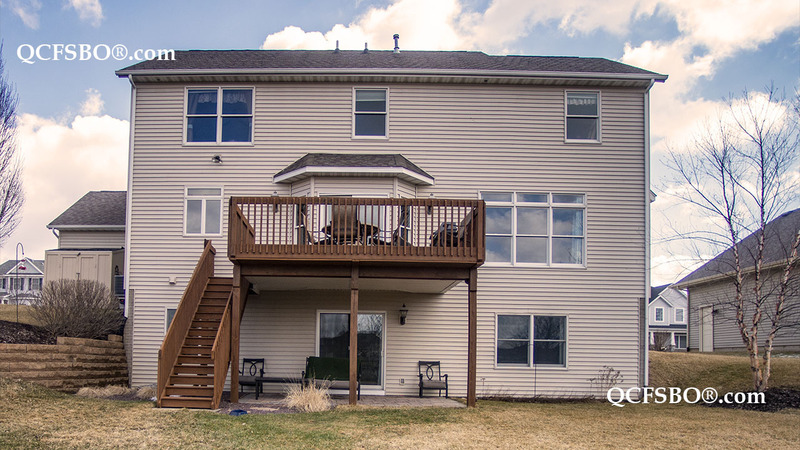 On the lower level you will find the walk out basement that features a huge family room/rec area with an abundance of natural light, beautiful wood laminate flooring, and stone accent wall with lighting. The lower area has a fifth bedroom with large walk in closet, bathroom with stand up shower, and an abundance of storage. 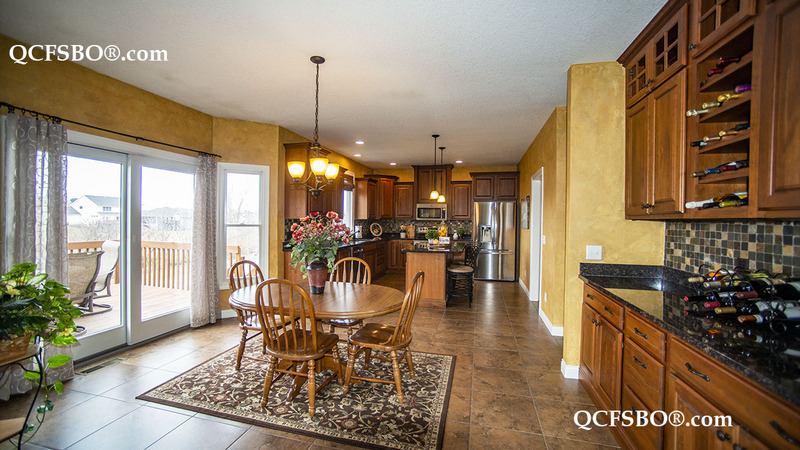 Just off the lower level family room is a beautiful stone patio to enjoy the sunset or entertain guests. 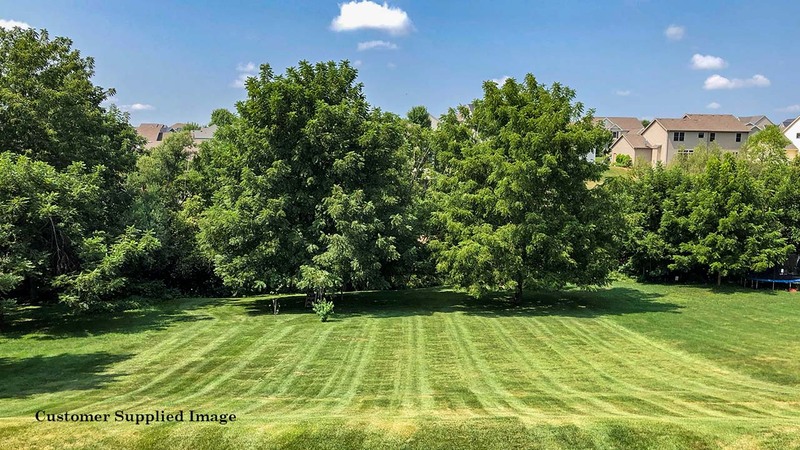 The backyard has mature trees and backs up to Hopewell Creek, a perfect place for weekend bonfires and for pets and children to play. There is also an amazing hill in the backyard for winter sledding. 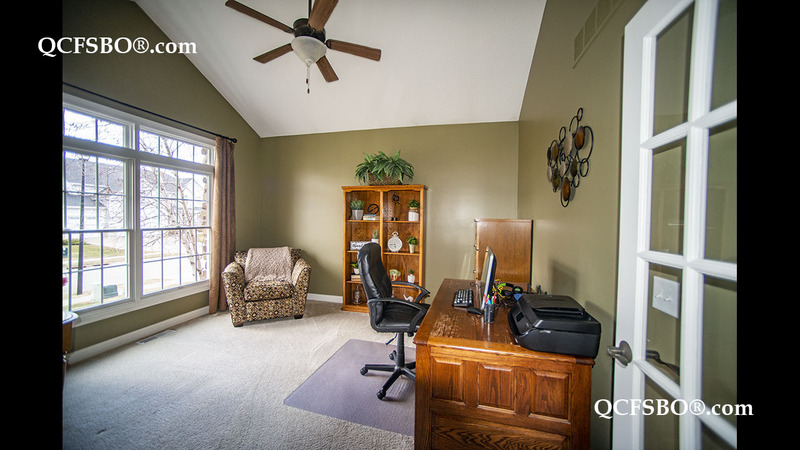 This house is move in ready and within walking distance to top rated Hopewell Elementary (Pleasant Valley Schools), close to biking and walking trails, parks, dog park, shopping, dining, movie theater, the new TBK Bank Sports Complex, and easy access to I-80. Serious inquiries only. Buyers must have pre-approval.